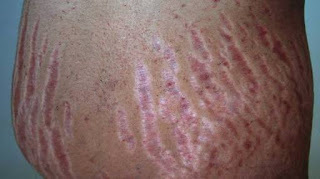 Have you ever wondered why your skin suddenly develops marks that are not beautiful to behold and sometimes irritating? Though these marks are not harmful to your health, but they are not good looking either . 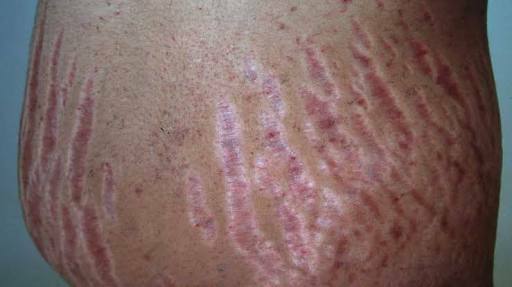 Anyone with these marks probably wish they would disappear instantly .They are called stretch marks. Stretch marks are long, narrow streaks, stripes, or lines that develop on the skin. It can be found in both men and women but more prevalent in women especially during pregnancy. They can develop on a range of body parts, including the stomach, thighs, hips, breasts, upper arms, lower back or anywhere in the body. This skin damage effect happens when the skin cannot go back to normal form after a period of intense growth, often due to pregnancy, weight gain, weight loss or puberty. Though Stretch marks often fade over time without treatment and do not pose any serious long-term health risks. 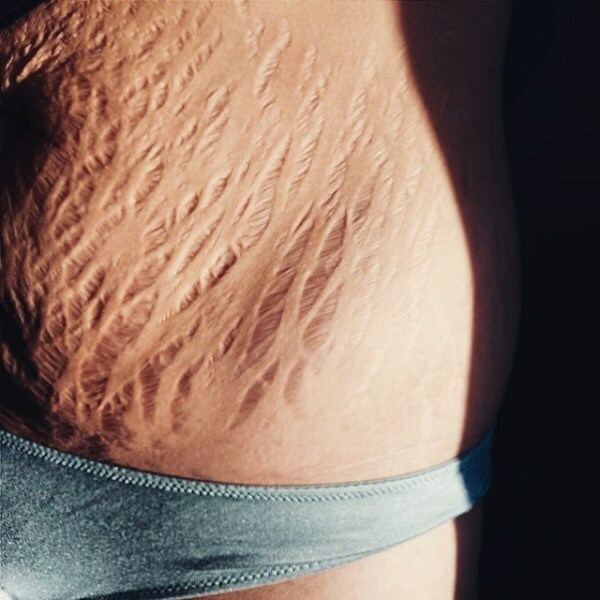 Currently, there is little medical evidence available confirming the effectiveness of treatments for stretch marks. There are many products and procedures that promise to remove stretch marks, but there aren’t any that have proven effective so far. The following are the procedures that can help you get rid of stretch marks. • Applying self-tanning lotion to your stretch marks is a temporary way to minimize the difference in color between your normal skin and your stretch marks. • Keeping your weight in a healthy range by eating well and exercising regularly can help to prevent stretch marks caused by sudden weight gain or loss. • While it’s healthy for pregnant woman and her baby to gain weight, find out from the doctor how much weight gain during pregnancy is right for you. • Use of Cocoa butter, shea butter, olive oil, and other moisturizers may help make your skin feel softer, but it isn’t clear if they help or prevent stretch marks. • Studied have shown that women who massaged moisturizers into the skin on their bellies during pregnancy did have fewer stretch marks than others who did not massage.